Rhodochrosite is a manganese carbonate mineral with chemical composition MnCO3. In its (rare) pure form, it is typically a rose-red color, but impure specimens can be shades of pink to pale brown. 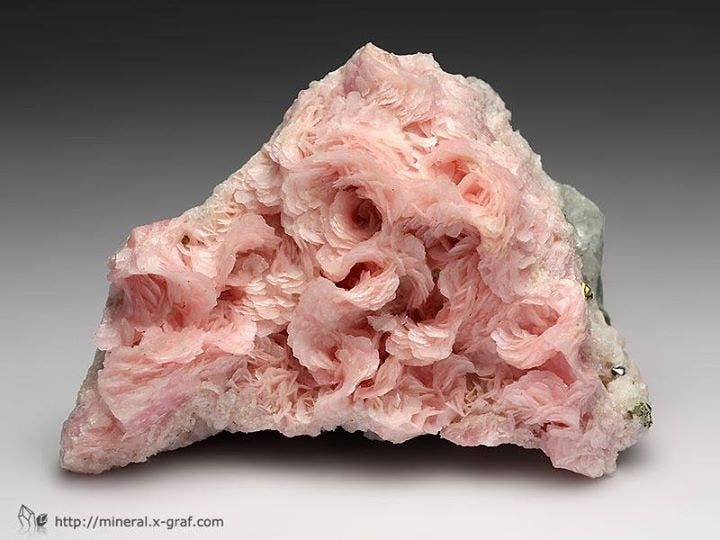 Rhodochrosite occurs as a hydrothermal vein mineral along with other manganese minerals in low temperature ore deposits as in the silver mines of Romania where it was first found.